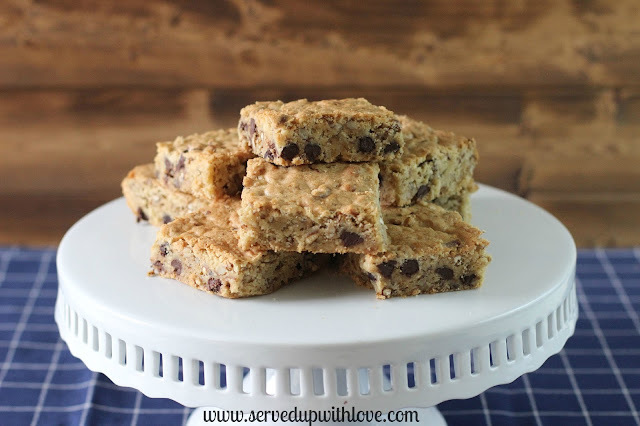 I am super excited to share this recipe with you today. 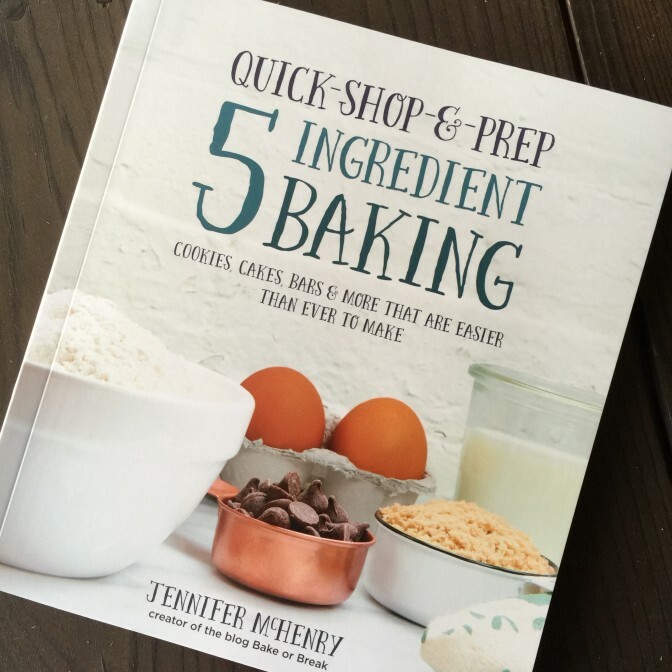 It is from an amazing new cookbook, Quick-Shop-&-Prep 5 Ingredient Baking, from my friend and fellow blogger, Jennifer McHenry. She blogs over at BakeorBreak.com and is an amazing baker. I had the amazing opportunity to meet Jennifer in person at The Southern Food Bloggers Retreat last year and she is just the sweetest. Every recipe I have made from her blog has always turned out wonderful so I knew this cookbook was going to be spectacular. At any given time you will find me in my kitchen cooking up a storm but my happy place is when I am baking up a sweet treat. As soon as I opened it up, I started mentally taking notes of what to make for my next baking adventure. A simple bakers pantry, like butter, flour, sugar, and eggs is needed whenever you do any kind of baking. She shares how you can set up your bakers pantry and add a few extra ingredients to make the perfect dessert. Each section is dedicated to adding either 2, 3, 4, or 5 ingredients along with the items you normally have in your pantry. Making it so easy for anyone to bake without a lot of fuss. A great gift for the baker in your life. 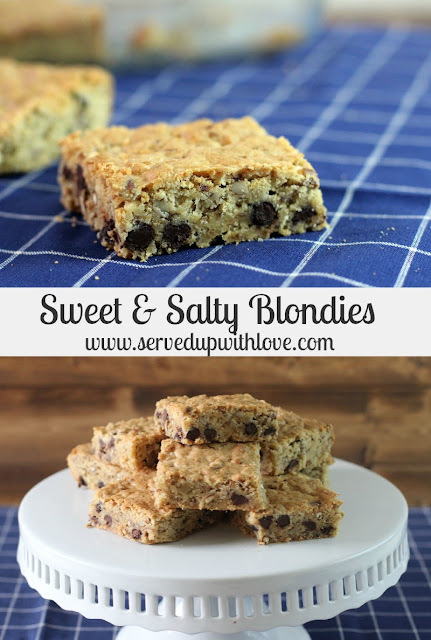 These Sweet and Salty Blondies were a huge hit at our house. 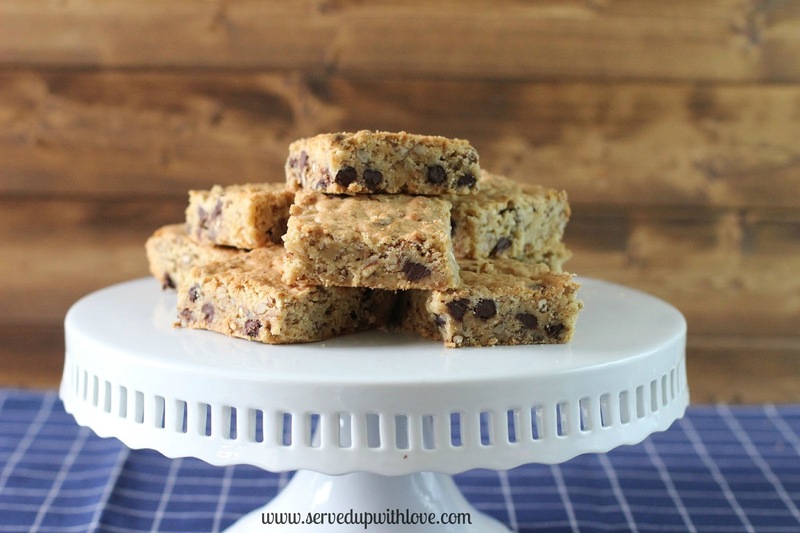 The sweet toffee bits and chocolate chips were offset with the salty pretzel pieces, crushed potato chips, and the chopped pecans. The more I ate them, the more I fell in love with them. The sweet/salty combo totally rocked in this recipe. Preheat the oven to 350 degrees. Grease a 9 x 13 x 2-inch baking pan. Reduce the mixer speed to low. Gradually add the flour mixture, mixing just until combined. Stir int he chocolate chips, pretzels, nuts, potato chips, and toffee bits. Transfer the batter to the prepared pan and spread evenly. If desired, sprinkle the top lightly with coarse salt. Bake for 28 to 32 minutes, or until a pick inserted into the center comes out clean. 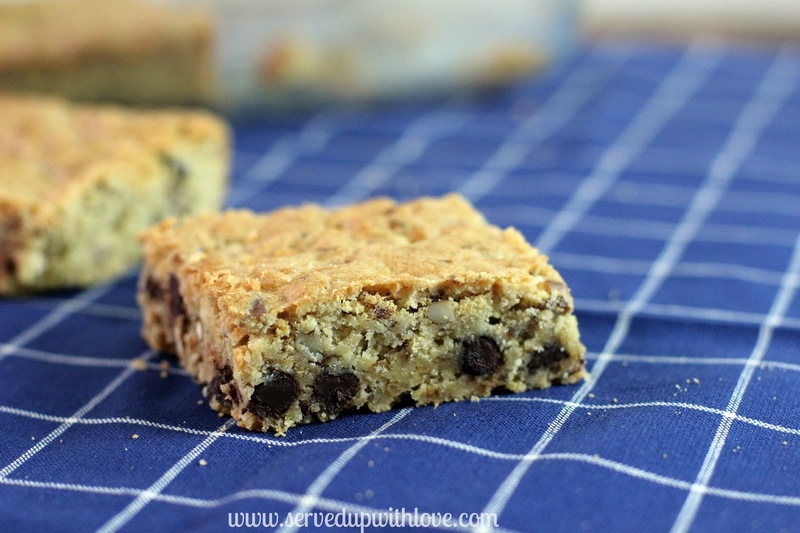 Allow to cool in the pan for 15 minutes before cutting into bars. One of my favorites from the book! And your photos look great! Thanks so much for sharing a recipe from my book. I hope you'll find many more that you enjoy!